Green snail, Cornu apertus (syn. Cantareus apertus, Helix aperta) is a serious pest and has the potential to cause crop losses. Green snail is a declared pest under section 22 of the Biosecurity and Agriculture Management Act 2007, landholders are required to report and control the pest on their properties. Green snail has a wide host range, including mostly leafy vegetables, cereal crops, pasture grasses and native plants. Green snails have an olive-green to light brown shell without any banding, and are about 15–25mm in diameter. The body is light creamy yellow and up to 55mm when extended. Green snails do not appear to be restricted to any particular soil or vegetation type. They tend to be ground dwelling and thrive in open grasslands. They can also inhabit areas of natural bush. During the dry summer months (November–March) the snails burrow underground and lie in a dormant state. Following autumn and winter rains the snails become active, with eggs laid in the soil from May–August and young snails appearing in early winter. The green snail is intermediate in size between the common garden snail and white Italian snail. What damage can this pest cause? 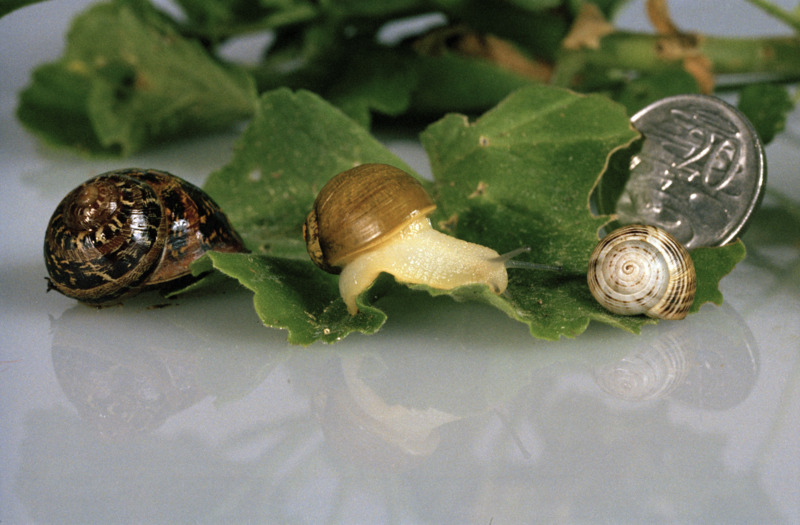 The damage caused by green snail is similar to that of the common garden snail – young snails feeding on surfaces of leaves often only penetrate shallowly leaving a 'windowpane effect’, while older snails eat holes in the leaves and may reduce them to veins only. 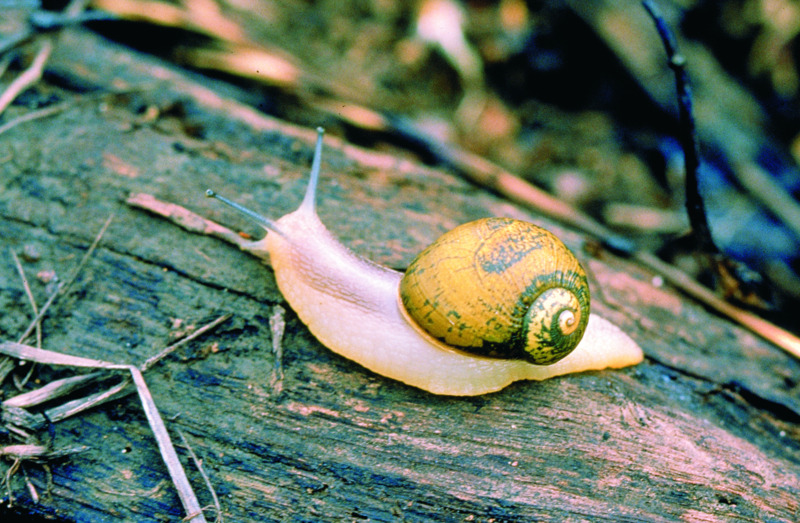 During their underground summer dormancy, snails do not pose a risk to crops. What do I do if I find it? Green snail, Cornu apertus (Born, 1778) is a declared organism for Western Australia. It is important that suspect infestations are reported. Early detection and reporting of this pest will help protect Western Australian horticultural and agricultural industries. If you suspect green snail, please contact the Pest and Disease Information Service (PaDIS) on 1800 084 881 or go to the DAFWA MyPestGuide web pages to download the free MyPestGuide reporter app, or make a MyPestGuide online report.